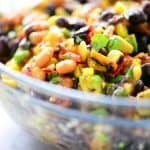 This Grilled Cowboy Caviar recipe is a flavorful, healthy appetizer that can also be served as a salad side dish. 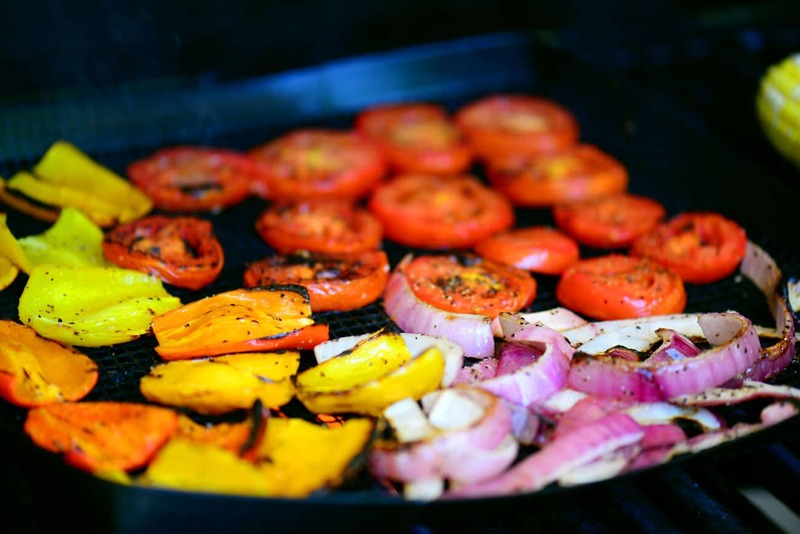 Grilled veggies are a fabulous addition! 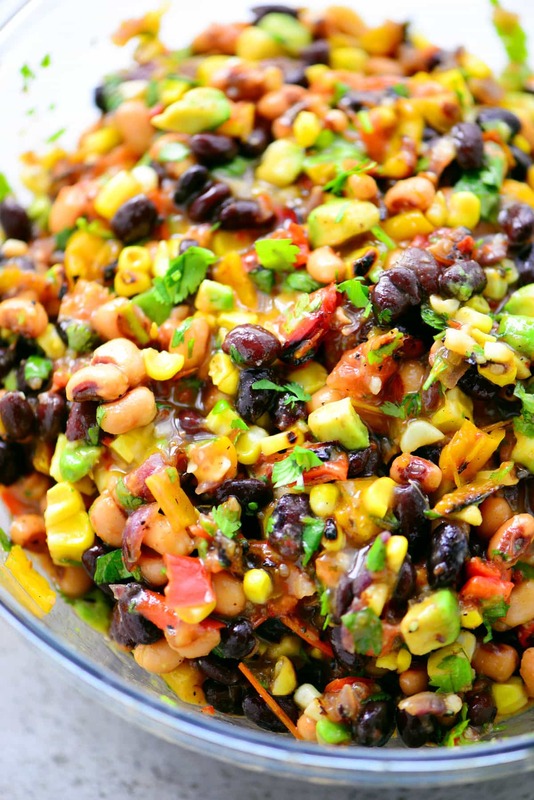 Grilled Cowboy Caviar is an even better choice than salsa for an appetizer or snack because it is so filling. We like eating it with tortilla chips but it can also be served as a salad. I’ve shared recipes for cowboy caviar in the past but decided to try grilling the vegetables before adding them to the salad the last time I made it and I love how it turned out! 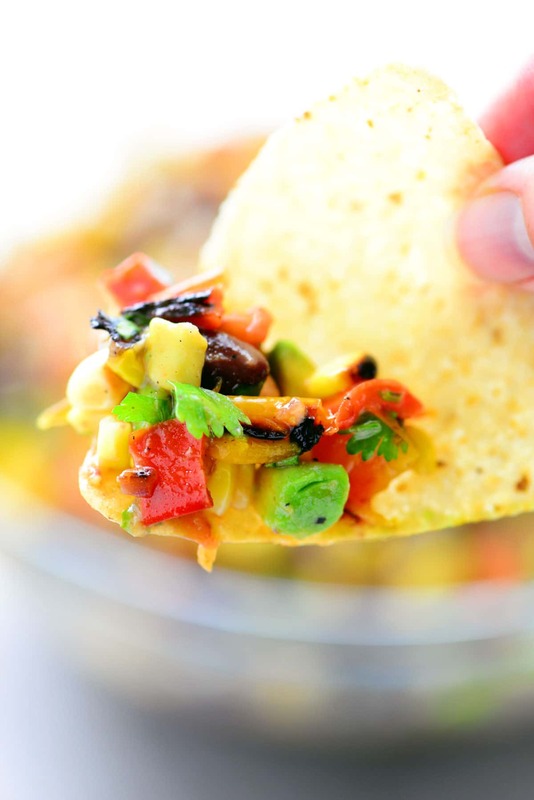 Grilling the vegetables gives them a flavor boost and they are a great addition to cowboy caviar. Cut bell peppers, tomatoes, and onions into slices. 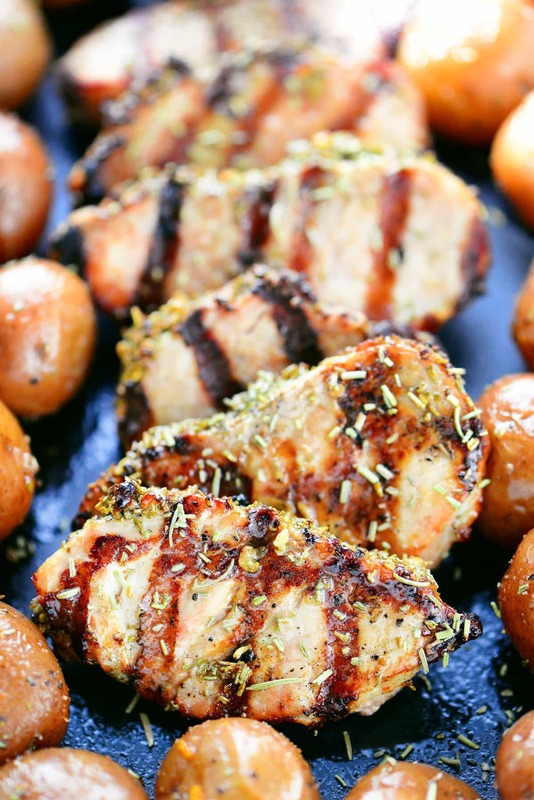 Arrange them in a grilling basket, brush with olive oil, sprinkle with salt and pepper. 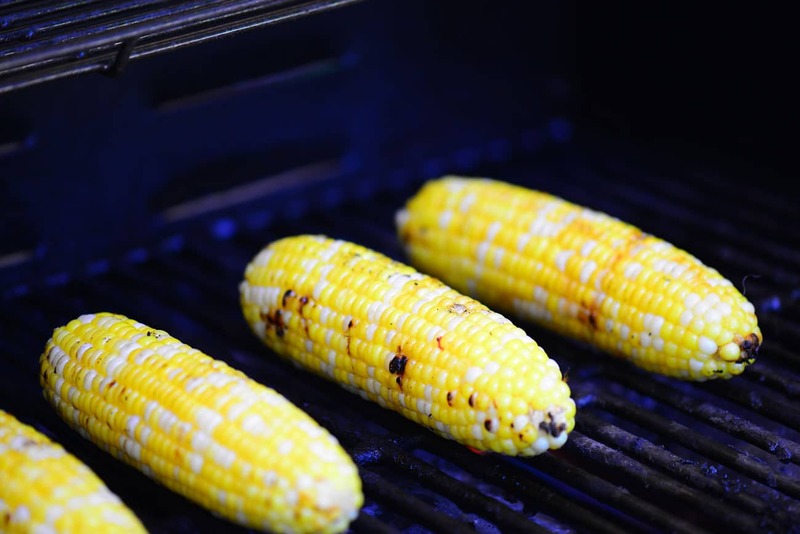 Brush ears of corn with olive oil, sprinkle with salt and pepper and place directly on the grill grate. Grill the vegetables over medium high heat, turning occasionally until grill marks appear, about 8 minutes or 4 minutes per side. Allow the veggies to cool. Dice the grilled peppers and onions. Cut the grilled sweet corn off of the cob. Put rinsed and drained black beans and blackeye peas into a bowl. Add the tomatoes, peppers, avocado, onions, cilantro, zesty Italian dressing, and garlic salt. Stir to combine. 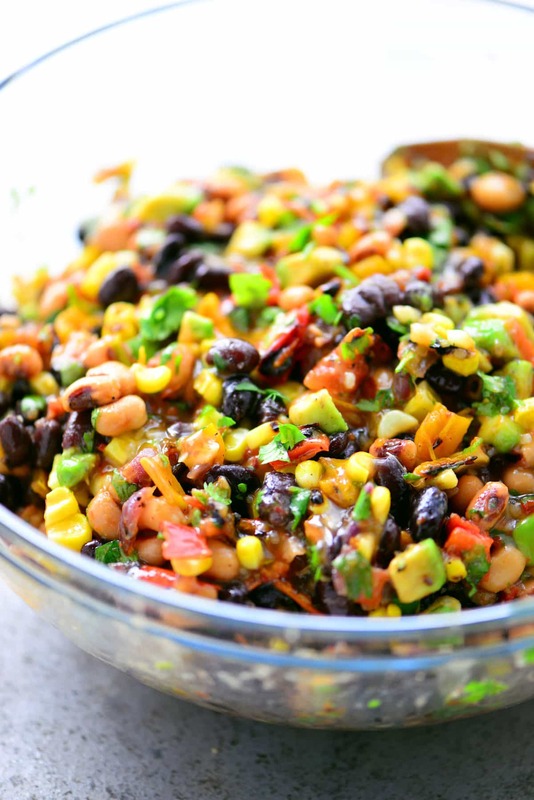 Serve the Grilled Cowboy Caviar with tortilla chips as a chip dip or serve it as a salad side dish at a backyard barbecue. 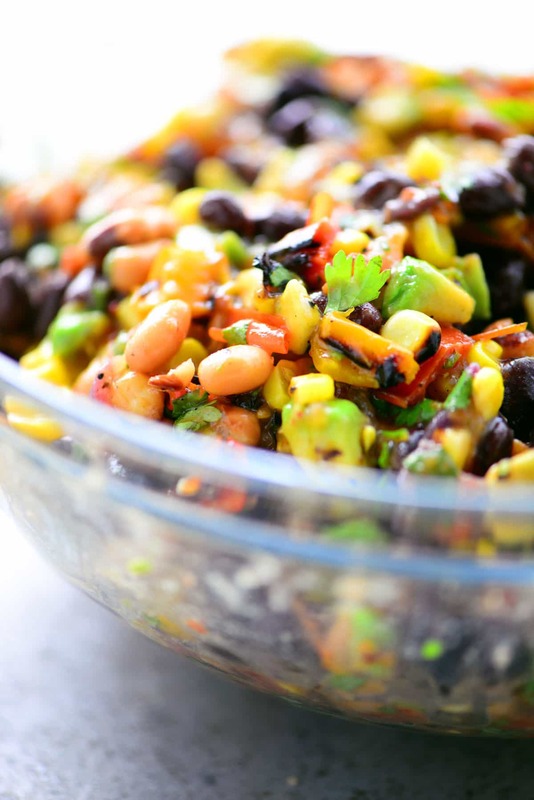 This Grilled Cowboy Caviar recipe is a healthy appetizer full of flavor and protein. The grilled veggies are a fabulous addition to this classic dish. 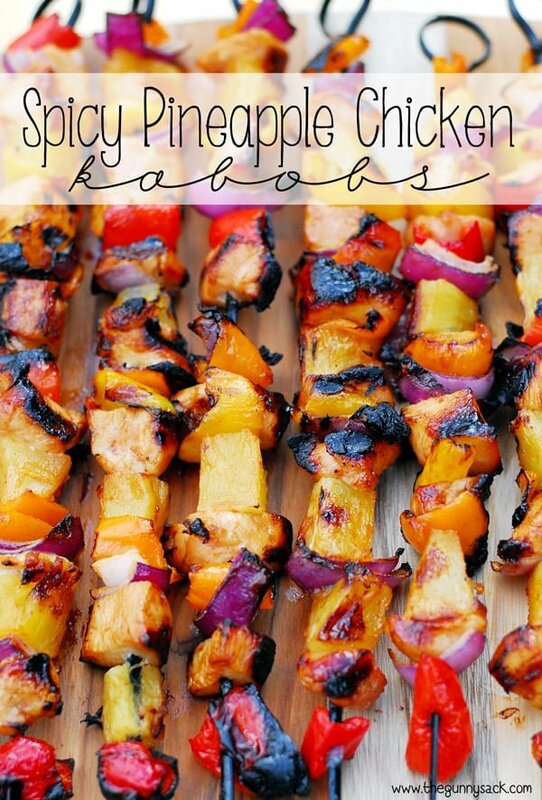 Serve as an appetizer with chips or as a salad side dish. Arrange the sliced bell peppers, tomatoes, and onion in a grilling basket. Brush the veggies in the basket and the ears of sweet corn with olive oil and sprinkle with sea salt and black pepper. Grill over medium high heat, turning occasionally until grill marks appear, about 8 minutes or 4 minutes per side. Allow the veggies to cool. Dice the grilled peppers, tomatoes, and onions. Cut the grilled sweet corn off of the cob. This Grilld Cowboy Cavier is amzingly awesome…I have made this many times now. 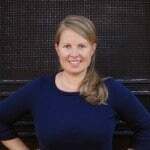 I do share this recipe with others and to DO get credit for this awesome recipe. Yum, Yum, Yummm!